The U.S. State Department is condemning Iran's failed satellite launch as an action that defies the international community. Secretary of State Mike Pompeo said in a statement Tuesday that the vehicle which Iran attempted to launch into orbit uses technology "virtually identical and interchangeable with those used in ballistic missiles, including intercontinental ballistic missiles." Pompeo added that that the launch "furthers Iran's ability to eventually build such a weapon." He said the U.S. is working with its partners "to counter the entire range of the Islamic Republic's threats, including its missile program, which threatens Europe and the Middle East." Israel's prime minister is accusing Iran of lying about its satellite launches. Benjamin Netanyahu says that the supposedly "innocent satellite" launched on Tuesday was actually "the first stage of an intercontinental missile" Iran is developing in violation of international agreements. Netanyahu says the launch is part of the Iranian government's lies, beginning with its denial of trying to develop a nuclear weapon and its flaunting of the nuclear accord reached with world powers. Speaking at a ceremony welcoming Israel's incoming military chief, Netanyahu said that Israel has to "puncture its lies. It (Iran) lies all the time." Iran announced earlies in the day that it had conducted one of at least two satellite launches it plans despite criticism from the United States, but that the Payem satellite failed to reach "necessary speed" to reach orbit. 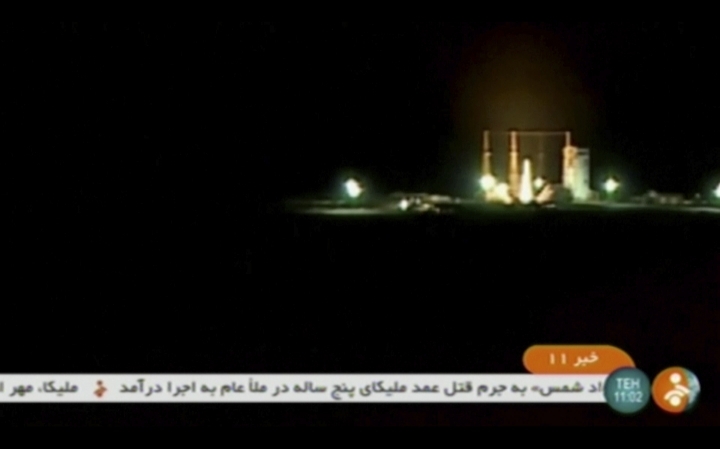 Iran says it has conducted a satellite launch criticized by the U.S., but the satellite has failed to reach orbit. State TV on Tuesday quoted the country's minister of telecommunications as saying the country failed to put Payam satellite into the orbit. Mohammad Javad Azari Jahromi said the satellite carrier rocket failed to reach "necessary speed" in the third stage, though it successfully passed the first and second stages of the launch. Earlier in January, U.S. Secretary of State Mike Pompeo said Iran's plans for sending satellites into orbit demonstrate the country's defiance of a U.N. Security Council resolution that calls on Iran to undertake no activity related to ballistic missiles capable of delivering nuclear weapons. Iran insists the launches do not violate the resolution.